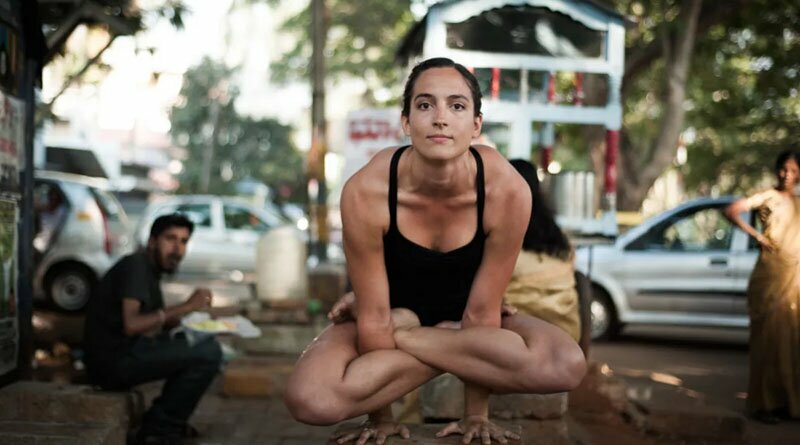 Dhanurasana (dah-noo-rah-sah-nah; Sanskrit: धनुरासन; IAST: Dhanurāsana), Bow Pose or sometimes Urdva Chakrasana (Upward Wheel Pose) is an asana. 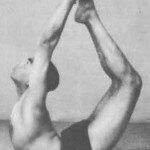 The name comes from the Sanskrit words Dhanura (धनुर, Dhanura) meaning “bow”and Asana (आसन, Āsana) meaning “posture” or “seat”. 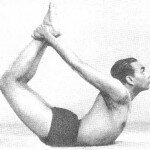 Dhanurasana, the bow pose, is eighth in the sequence of 12 basic postures of hatha yoga. 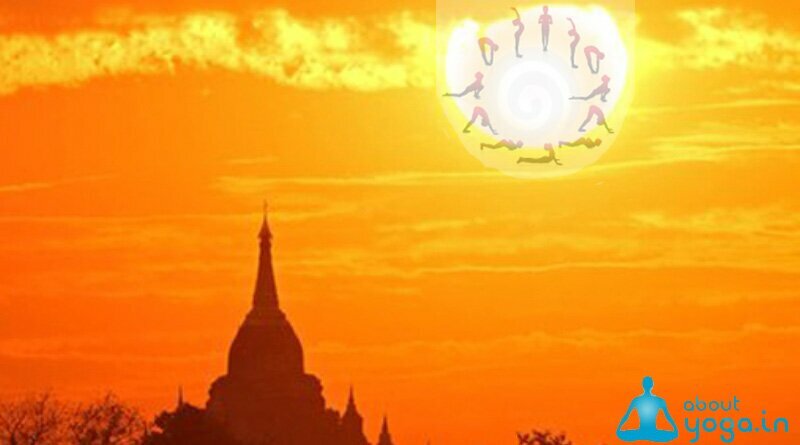 It is also the third, and last, of the three back-strengthening exercises included in a normal hatha yoga class. The main benefit of the bow is to give a full backward bend to the entire length of the spine, building both strength and flexibility in the back, bending the back in the opposite direction of the seated forward bend. Like the other back-strengthening exercises, the resting posture before the bow is done by laying on the stomach instead of the back. Before beginning the bow posture, lay on the stomach. With your hands make a pillow under your head and rest one cheek on your hands. The toes should touch together with the heels falling away from each other. Feel the floor supporting the whole length of the body, relaxing into the floor as much as possible. Between each of the back-strengthening exercises, be sure to alternate the side of your head resting on your hands so that both sides of your neck receive an equal relaxation. Release your hands from underneath your head. 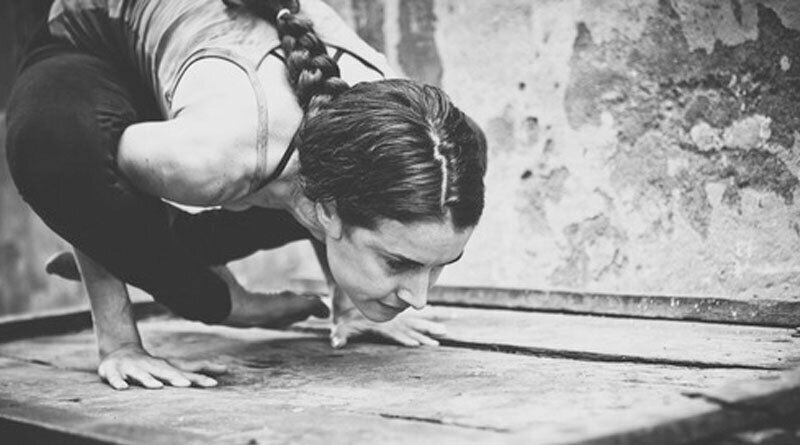 Rest your chin or forehead on the mat. Bend your knees, grabbing ahold of your ankles with your hands. If you are unable to reach your ankles with your hands, the teacher may be able to help you, or you can practice one side at a time until you increase your flexibility. Inhale and lift your head and chest up off the mat. At the same time lift your knees as high as you can. Keep your elbows straight and try to arch your body as much as possible. The weight of the body should be more on the abdomen than on the hips. To shift your weight from the hips, try lifting your knees higher, pushing into your hands with your feet. Hold the posture for 10-30 seconds, working up to one full minute or more. Be sure not to hold your breath while in the bow. Exhale and with control release the legs back down to the floor. Bring your hands underneath your shoulders and push the body back into the child’s pose, counter-stretching the back on the way. Take several deep relaxing breaths in child’s pose. Deeply relax all the muscles of the arms, shoulders, and back, if necessary spreading the knees slightly apart to become as comfortable as possible. Come back to the resting posture on your back, savasana. Do not practice dhanurasana if you are pregnant. Once the normal bow posture is mastered and you have sufficient shoulder and back flexibility, you can try a more advanced variation. Hold onto the toes with the hands, and rotate the shoulders toward the face, with the hands behind the head as pictured. 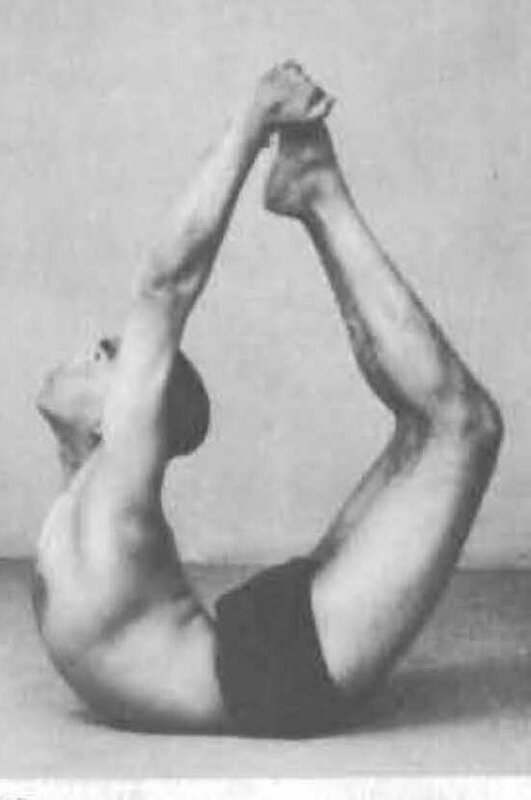 Try to arch the back as much as possible.